Southern States of India have been blessed by Mother Nature. Kerala, which is one of the Indian states located in this region, is well-know over the world as God’s Own Country. Shimmering Beaches, Brackish Backwaters, Places of Worship, Picturesque Hill Stations and Wildlife Habitats are the major tourist attractions in the state. For its unique vegetations and incomparable beauty, the National Geographic Traveller described the place as ‘One of the ten paradises of the world’. Stunning locations that lure the attention of visitors are scattered in every region of the land. The destination attracts all types of travellers whether you are in business trip or leisure trip or honeymoon trip. People are very friendly and simple. They welcome everyone with gracious hospitality and are very helpful. Travel to Kerala proffers an extraordinary travel experience in the life of every globetrotter. There are many travel agencies who are providing best deals at cost-effective rate. One can tailor their favorite Kerala tour packages according to their choice and interest. Staying a night in Tree house under the bright light of stars offers an exceptional travel experience. These houses built in the branches of trees are lavishly adorned and facilitate all amenities like living room, kitchen, balconies and sitting lounge. Sleep comfortably in tree house in the land of verdant Kerala. Eco-tourism and Medical Tourism are the most developing tourism sectors in the state. Hill stations covered by blankets of spice and tea plantations are the most visited attractions by the nature wonders and adventure lovers. Munnar, Wayanad, Vegamond, Mattupetty, Chinnakanal, Kumily, Thekkady, Kottancheri Hills, Nelliampathi, Vythiri, Agali, Thiruvambadi and Kannur are popular lush green destinations in the state. Enjoy trekking and walking in the slopes of hills with chirping sound of birds in the background. Listen the naughty sounds of murmuring waterfalls and feel the essence of spice plantations. Panoramic view of the environments and unpolluted surroundings make it a desirable destination for nature lovers. 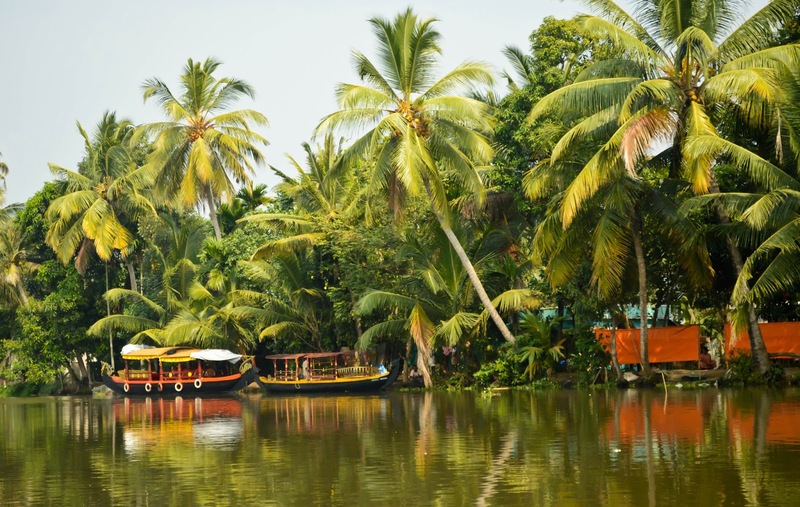 Kerala backwaters are unique attractions in the entire world. These backwater regions are formed by network of lagoons, rivers and lakes. The water bodies have unique ecosystem and scattered over an area of 900 kilometers. The best way to explore the mesmerizing beauty of these regions is through houseboat cruise. Earlier these houseboats were called as Kettuvallams. Stay a night in houseboat and witness the beauty of water bodies when moonlight falls on the surface. Famous backwater destinations are Kochi, Kozhikode, Kumarakom, Allappuzha, Alleppey and Kuttanand. Shores of these water regions are covered by lush green vegetations, tall coconut trees, palm fringes and one can also see some old buildings built with great architecture during the cruise tour on the sides. During your vacation in the state, you can also enjoy several types of body massages and ayurveda treatments to rejuvenate your mind, body and soul. There are many ayurveda centers in the land offering best services for body massages and treatments. Trip to Kerala offers a fantastic chance to relax & refresh in the lap of Mother Nature. Book your favorite itinerary in advance to enjoy a hassle free voyage. Have a nice vacation.